This essay is part of a series written by speakers featuring at TNW Conference in New York on November 18. Discount tickets to the event are still available for purchase here. After 20 years of living in the UK, I’m now moving to the US. What I find most daunting about this relocation is not the change in timezone or culture (football=soccer), but all of my belongings… as in, “what the hell do I do with all of my things?” The simple answer is, of course, to get rid of them. However, while watching a series on my smart TV, it got me thinking: how do we get our belongings to do more? Specifically, how do we get our belonging to do more so that we can do less? If I had smarter things, I would not need to try and drag so many of them across the Atlantic. Most of the home automation we have seen over the last few years (Nest, Canary, etc) are about giving us quicker access to information so that I can control the things in my home. But I want the things in my home to make decisions for me, especially dull decisions. I don’t want to schedule when to buy washing powder, toilet rolls, etc. At a basic level Amazon Dash does this by allowing me to hit a button and reorder what I need, but I expect more. I want my things to know when I need something without my input. Let’s use food as an example. Firstly please note the internet fridge was a fail, so I don’t ever expect my fridge to reorder my milk. However, I was asked recently whether I thought houses will still have kitchens in a few years. I really hope so as I love cooking, but I know many people who don’t, can’t or are too busy. The rise of food ordering services like GrubHub, Just Eat, Munchery, etc has been exponential. Let’s be honest here, it’s not a new thing. Dabbawalas in India have been delivering delicious home cooked food to office workers for years and apparently the industry is growing 10 percent year-on-year. There are plenty of options when it comes to using apps to order food and having it sent to you. In some parts of the world, I can request a food delivery online, order a recipe and have its ingredients delivered so that I can cook the meal myself, have someone prepare an extra portion of their dinner and drop it off, or take it even further and have a chef turn up at my house, cook me a meal, wash up and leave. We have all the ingredients necessary to cook – there numerous systems that will allow us to be fed with very little effort, and repeat the process. What’s more technologies are emerging that will reduce our role further: take, for example, virtual assistants like Clara, and voice control systems like the Amazon Echo and the crowd funded Ivee (which can already order you an Uber). When applied to food, I’d expect my virtual assistant will know where I am, link into my preferences (let’s go with Taco Tuesdays), or recognize that I will be home too late to cook and offer me alternative options. My voice control system will ask me when I walk in the door if I want to cook or order in. If I want to order in, it will ask me what type of food and, knowing my favourite dishes and restaurants, finish the order process for me. But until recently, one thing has stood in the way of this automated dream – the way to pay. 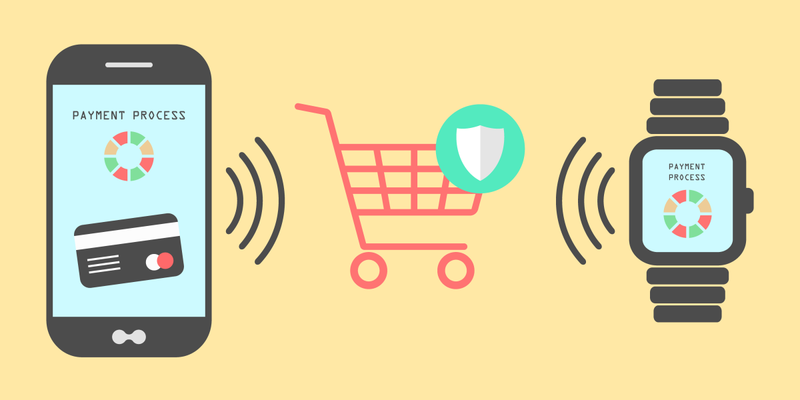 The action of paying is something that most apps have as a necessity, with user intervention as a requisite, whether it’s logging in or typing in a card number. Whereas apps that don’t require you to manually update your payment often storing your card details and needing to follow expensive and time consuming standards. Enter tokenisation. Tokenization allows us to replace sensitive data with unique identification symbols that retain all the essential information about the data without compromising its security. Tokenisation is how you can have an ApplePay or Android Pay, and it’s changing how payments are processed globally. Using this process devices will be able to make payments on your behalf in such a way that means your financial details are not being shared with 3rd parties. The risk involved from a stolen token is far less than stolen card details. In-context shopping is also a new trend that benefits from this format. Essentially, this is where you are shopping in some other context than the app or the website of the seller – like buying an item from a tweet or shopping on facebook, for example. Payment companies like Braintree (where I work) are already enabling in-context shopping on platforms such as Pinterest using Buyable Pins, and this advancement will keep growing, as will the contexts within which you can shop. In our case of the kitchen, our “things” are the “context”(i.e. the environment) that has the ability to purchase for us. We are no longer confined to a merchant’s website. As you can see, we are nearly there. The ingredients are being grown as we speak: a combination of smart things, online services and a tokenized payment systems allow for a secure future where our things can shop for us. Homes are being filled with sensors which provide data to machines that can make decisions about whether to reorder items. It’s not long before my driverless car will find an empty slot in my calendar and take itself off for a tune up. Is it time for the Internet of Things to stop measuring and start shopping? When I arrive in the US, I will have only a few “things”, so I have the perfect opportunity to fill my home with smart objects that can help make my Taco Tuesdays plan a reality. ➤ Catch John at TNW Conference in New York, November 18.